In the 19th century Vidriži manor belonged to baron fon Budbergs family (in many geneartions it was connected with the Russian czar court). The castle of baron Budbergs was built in 1870. and the baron lived there during summers. 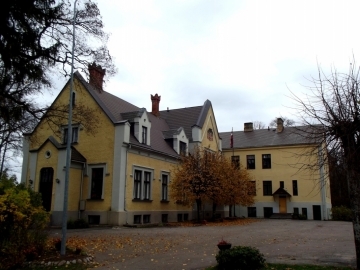 Skulte manor was founded in 1st half of the 16th century. From 17.th century 80ties Skulte became the property of Šulceni family. After the Great Northern war a luxurious castle with gate and towers was built, a wide park was made and stone farm houses were built. The dwelling house of the manor house owners, constructed in 1860. The building is surrounded by a romantic and beautiful setting, formed by a facilitated park, lakes and manor house buildings. A hotel and a restaurant are located in the castle. The spacious halls of the castle are suitable for wedding celebrations, parties and seminars. A tavern is located in the water mill.